Deciding on how and where to get funds for your housing loan should be carefully planned for because some were misled by the sweet talks of the agents who will show beautiful model houses. Then they will offer affordable monthly payments but on longer years’ term. At the end of it you’ll be persuaded to sign a contract that will make you indebted for several years. Housing plans are good especially if you don’t own a lot and you only need to produce a certain amount of money and you can move in. It’s just risky sometimes because if you lose your job you will not be able to pay for the monthly payments until your maximum allowed time that they can pull out your property. It’s good though if you can be assured that you’ll have money to pay for the next 15 to 25 years depending on your plan. My niece has started with the construction of her 2-storey house inside our compound and she’s taking it by phase. First phase is the construction of the posts, walls and all needed foundation then in the second phase she had the slab on the second floor and some installation of electrical and water lines. She and her husband decided to have their house built instead of getting a house loan because when we computed for the whole cost of the installment housing plan it’s more than double of what they will be spending if built on own lot. Anyway she’ll have the 3rd phase on summer and hope that it will be the final phase if budget will be available. She really wanted to move in before the next year’s school opening so she will not think about it anymore. She’s excited about the finishing phase and keeps on thinking about the flooring installation and where she’ll buy the tiles not just for the living and dining room but for the bathroom as well. She’s been searching online also for suggestive ideas and for quality products that she can afford. 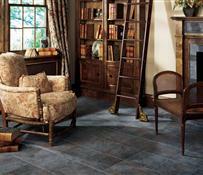 For ideas there are flooring options provided by Harris Carpets Flooring America in Anderson. They have wide variety of latest designs of hardwood flooring, carpets, laminate and ceramic tile flooring which can supply your specific requirements not just for newly built homes but for old homes as well when they need to replace the old ones. They offer their products at low prices that can fit your budget for the flooring and ensure affordable installation services also. 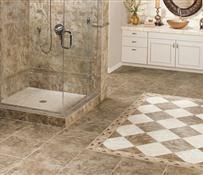 They have good deals now and you can get free $100 coupon off on your purchase, free promo measures and free catalog.